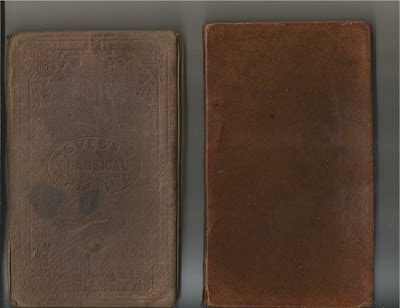 Here are some of the "moldy oldies" in my Philology Collection. At least that's what my wife Linda calls them. And since her allergist agrees with her, you won't find any of them in our bedroom. In his book, Harris tells us that the God who was the Inventor of Letters and Regulator of Language was known to the Egyptians as THEUTH, and to the Greeks as HERMES. The frontispiece above, by Basire, displays the winged head of Hermes. The head without a body signifies that no other part of the body other than the head was deemed "requisite to rational Communication." The wings on the bonnet represent words, the medium of Communication, winged words, as Homer described them. 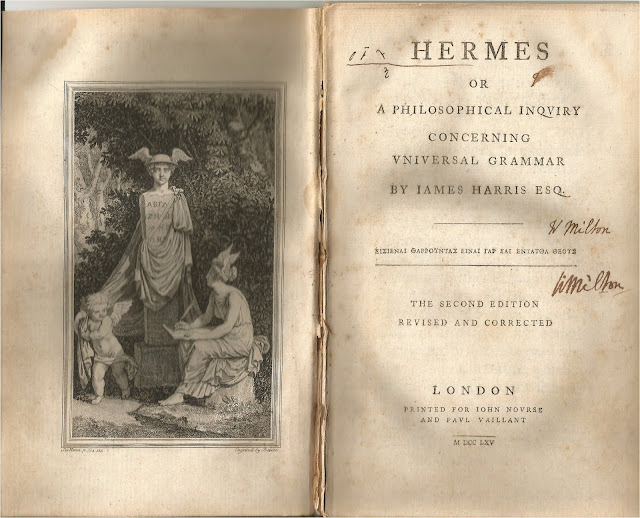 Hermes, Or a Philosophical Inquiry Concerning Universal Grammar is divided into three books, but published and bound as one. My copy is currently divided into sections. 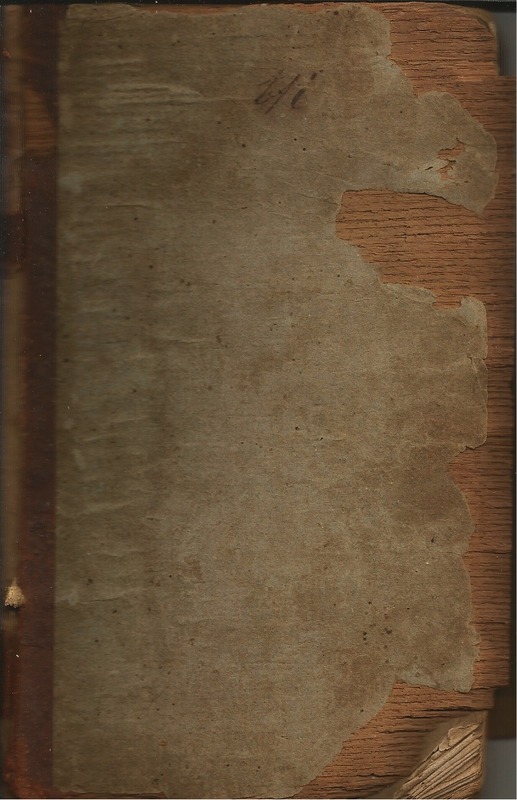 I have removed all of the the old thread, and the book is ready for resewing and rebinding. 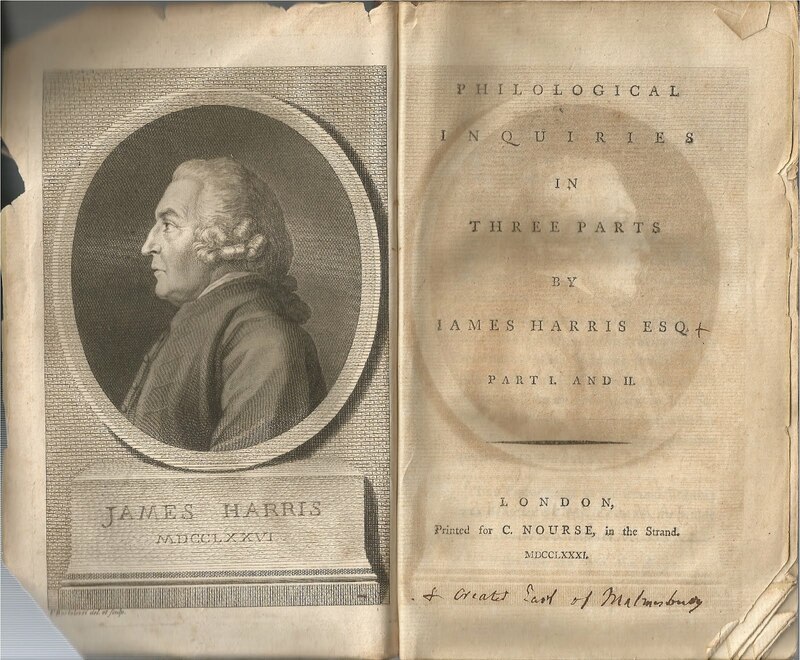 Samuel Johnson, by the way, was no particular fan of Harris and his book. According to Johnson, Harris didn't understand his own system. 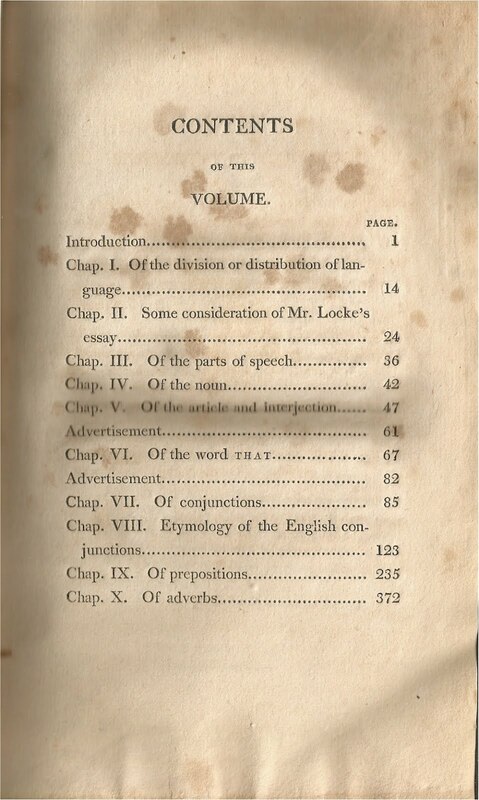 Moreover, Johnson alleges that Harris's fourteen-line dedication contains six grammatical errors. 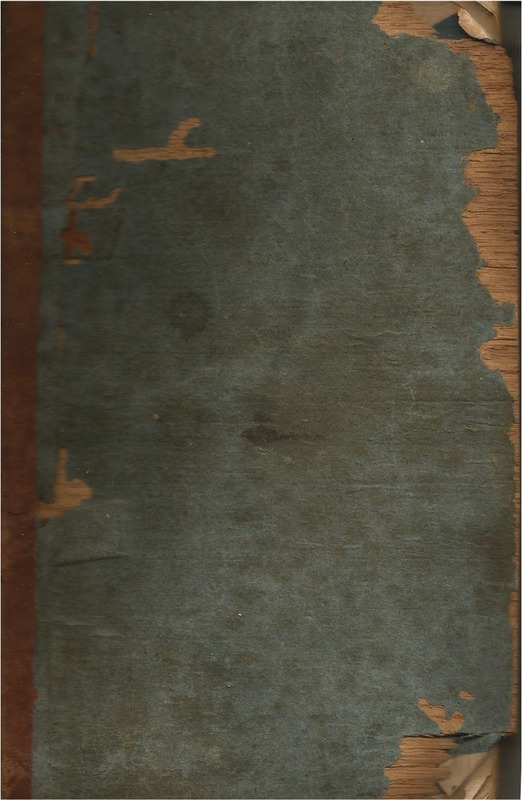 Part III is bound in this book as well, and with a separate title page. This book is a writing guide on Samuel Johnson's other definition of philology: criticism. 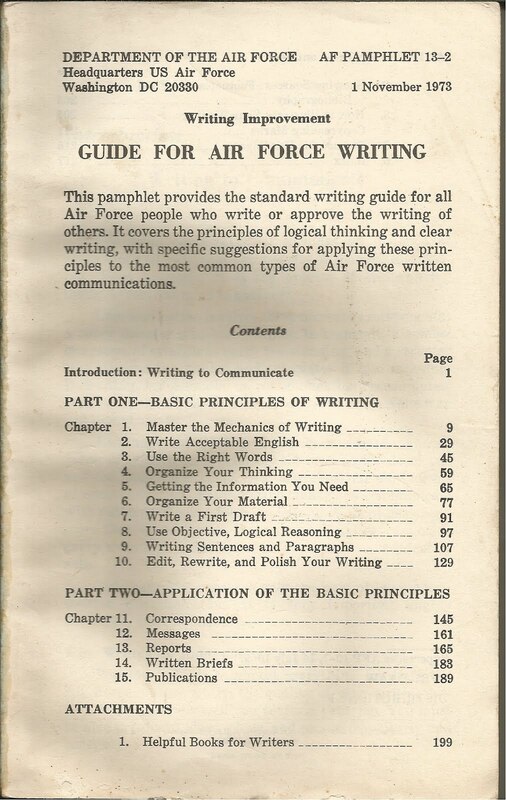 But it is written on a level that is well over my head. Speaking of Johnson, there was a grammarian named John Horne Tooke (1736-1812) who believed Johnson's Grammar, History, and Dictionary to be "most truly contemptible performances." 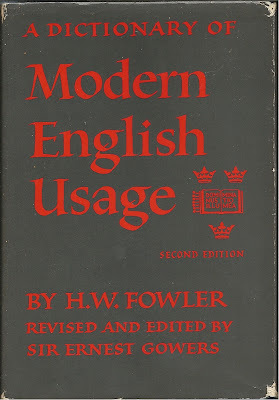 But then there are a number of grammarians who don't think much of John Horne Tooke either. There were a number of politicians who felt the same, but that's a different story. The more I read about John Horne Tooke the person, –– not the grammarian –– the more I like him. 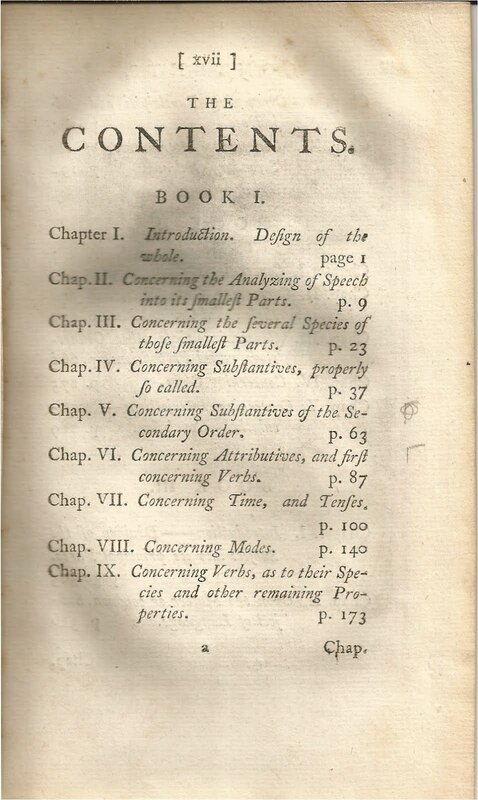 Because of that article, John Horne was tried and convicted of libel on the British Government in 1777, was fined, paid court costs, and served a year in prison. 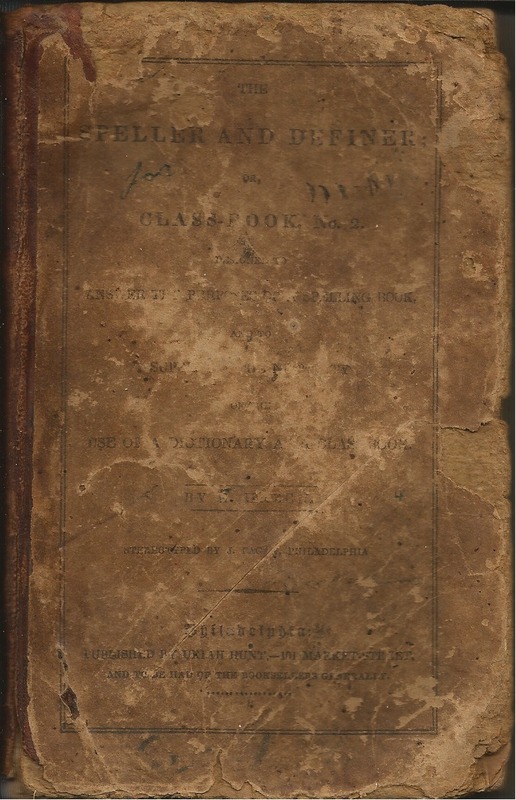 While in prison, John Horne corresponded extensively with the political reformer, John Dunning, soon to be known as Baron Ashburton. 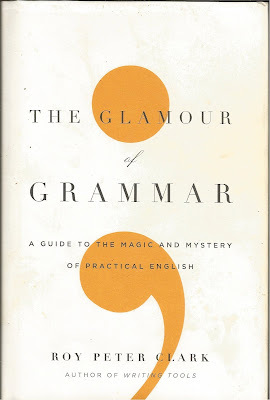 The topic, believe it or not, was grammar! 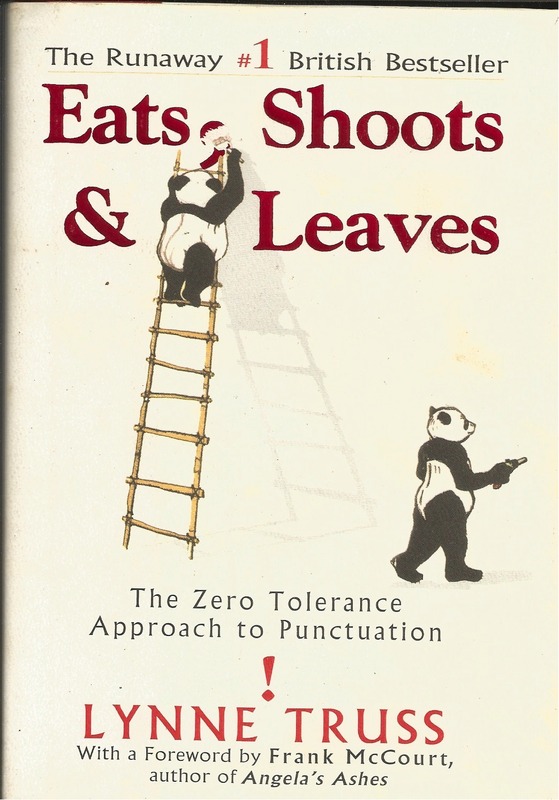 In fact, when Horne got out of prison he published a book about his grammatical conversations with Dunning. The work was aptly titled, A Letter to John Dunning. 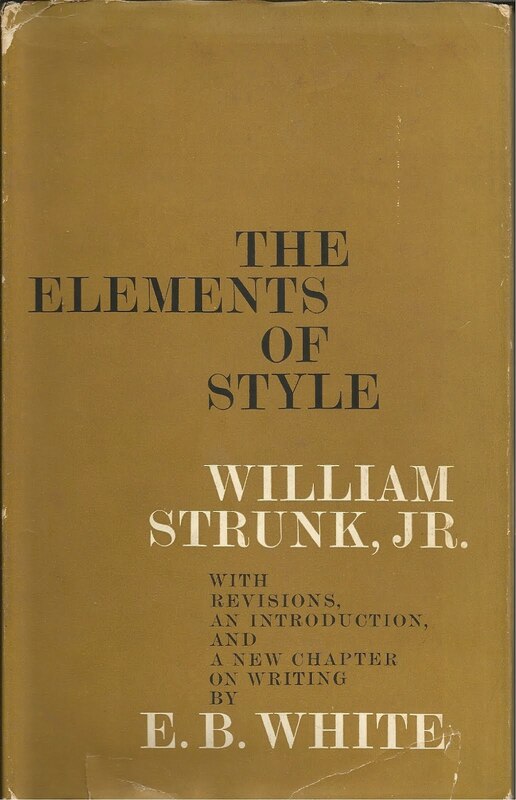 In 1786, Horne, now John Horne Tooke –– he took the name of his benefactor, William Tooke –– used his Letter to John Dunning as a jumping board into an imaginary conversation about grammar between himself and two other individuals, one of whom was his benefactor, William Tooke. 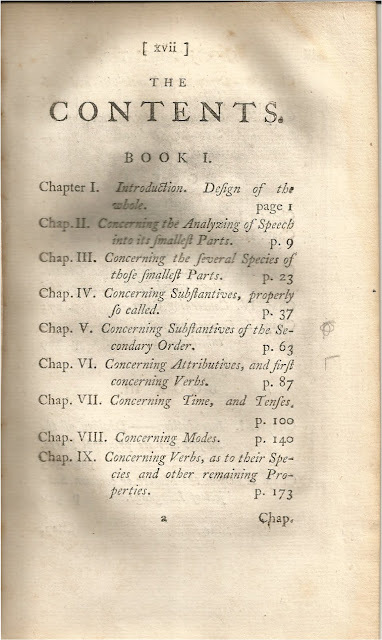 The title of the work was Epea pteroenta; or, The Diversions of Purley. Translated, the Greek phrase in the title means "winged words." Sound familiar? 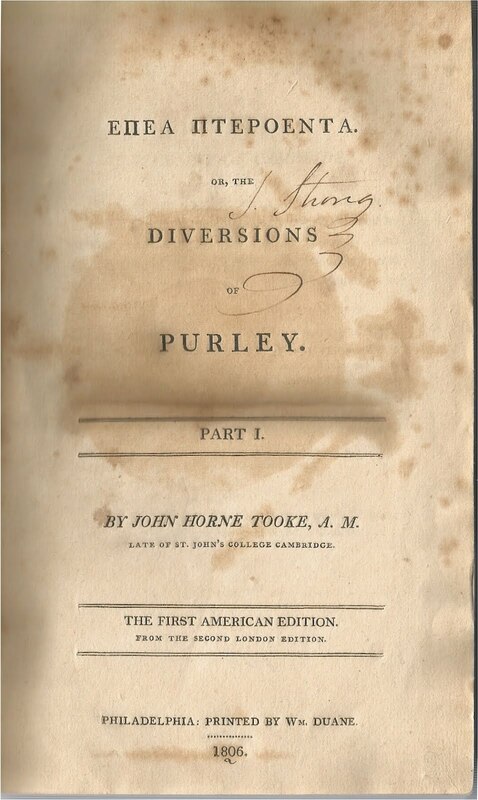 And Purley was the location of William Tooke's estate, where John Horne Tooke was a frequent visitor. 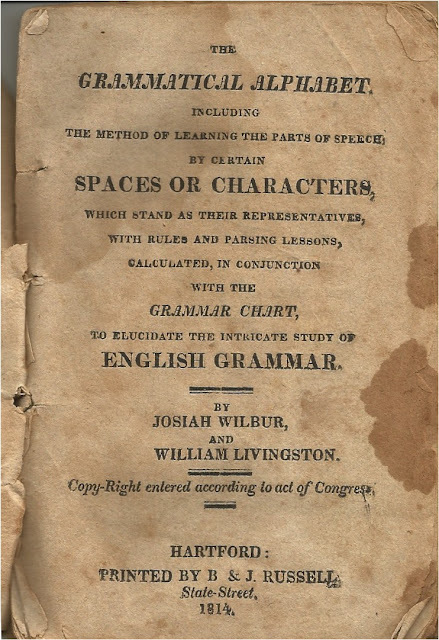 John Horne Tooke published a second volume of imaginary conversations about grammar in 1805. 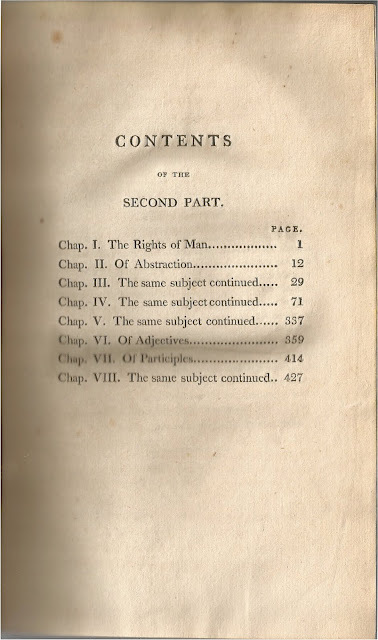 The chapter, The Rights of Man,"isn't about Thomas Paine's work; it is about the many definitions of the word "right." Of note* is the frontispiece of the first volume, an illustration of prepositions. 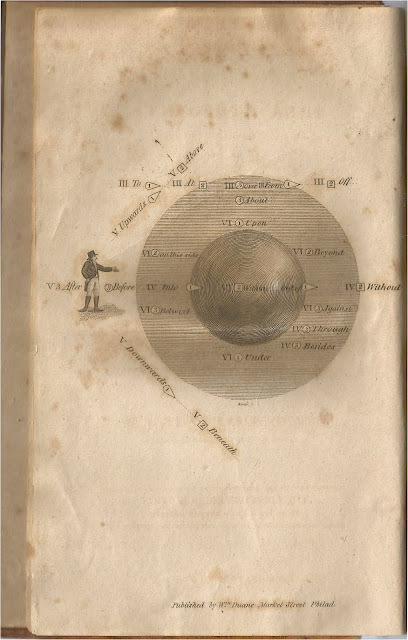 It was engraved by William Kneass (1781-1840), who later became the Chief Engraver of the United States Mint, a position he held from 1824 until his death in 1840. 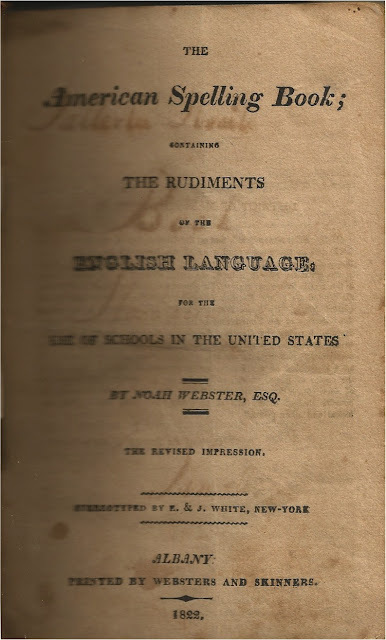 Every American knows about Webster's American Dictionary, first published in 1828. 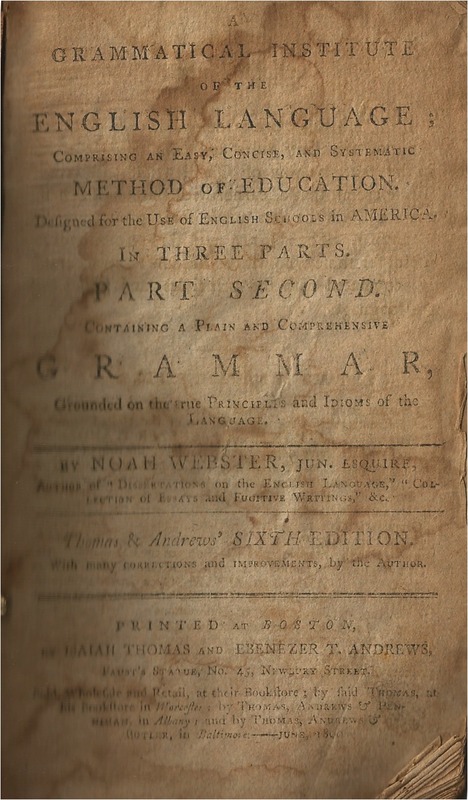 But how many Americans know about his Grammatical Institute of the English Language, first published in three parts in the 1780s? Webster (1758-1843) published a speller in 1783, a grammar in 1784, and a reader in 1785. He changed the name of the speller to The American Spelling Book in 1786, and to The Elementary Spelling Book in 1829. 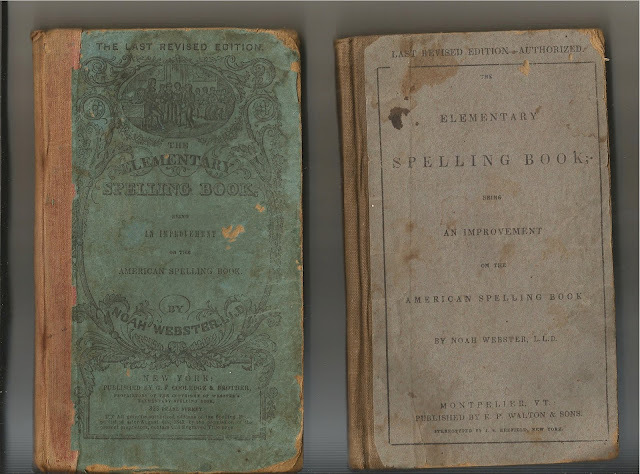 There were literally millions of copies of Webster's spellers sold in the 1800s. Yes. Wooden boards with paper covers. I have a copy of the 1793 sixth edition of the Third Part of Webster's Grammatical Institute of the English Language covering reading and speech; but I will discuss that copy next month when I talk about my books on rhetoric. 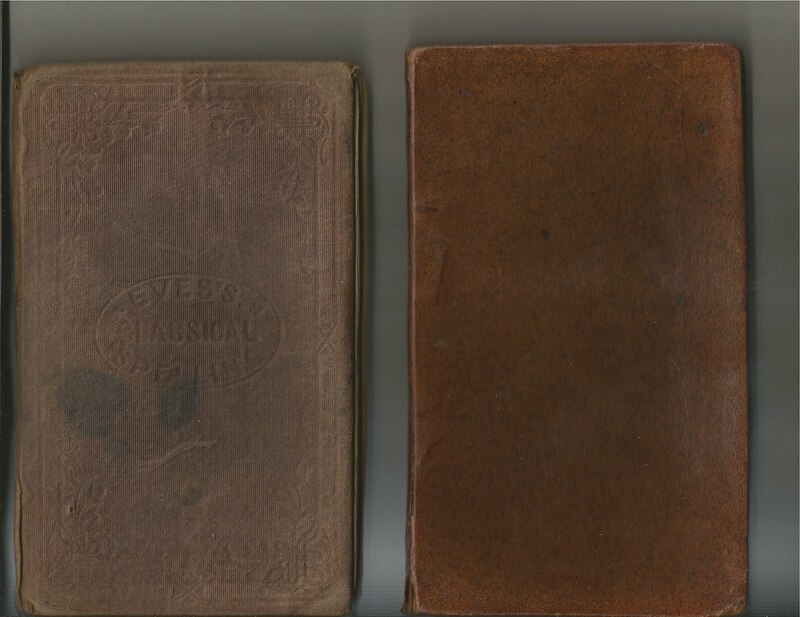 And I have two British spellers, an 1835 edition of Guy's British Expositor, and an 1859 edition of Eves's Classical Spelling Book. But acquiring this bibliography has had an adverse effect on my collecting of grammars. The sheer number of grammars listed in Gorlach's bibliography –– over 2300 of them in the 19th century alone –– has caused me to reconsider my book collecting wants. 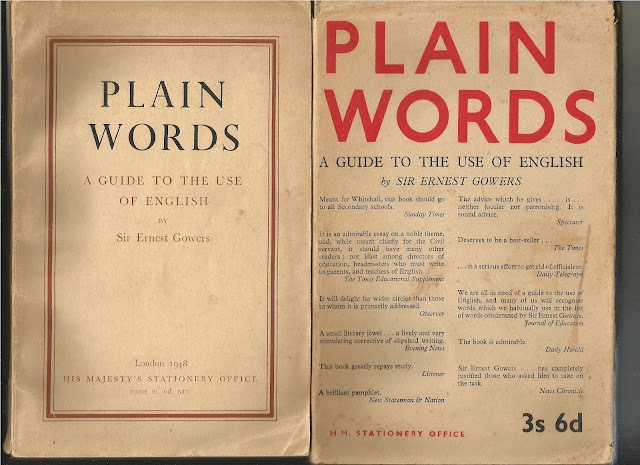 I am more than happy with my sampling of early grammars. 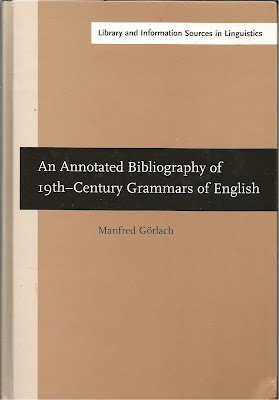 One grammar I would like to add to my Philology Collection isn't listed in Gorlach; it was first published in 1640 as part of Ben Jonson's works. 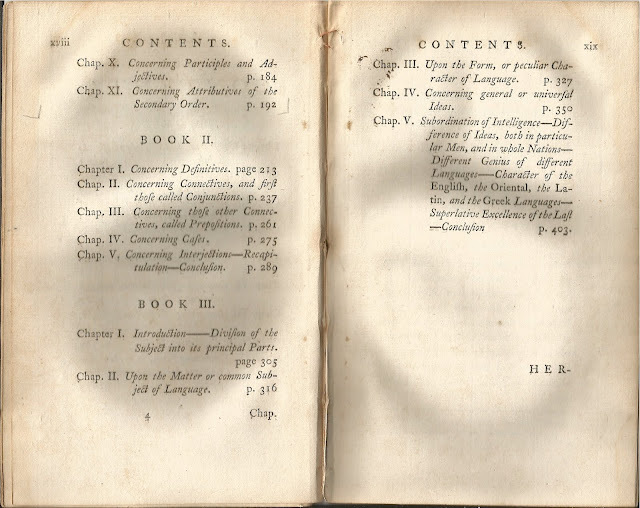 I'm talking about Ben Jonson's English Grammar. 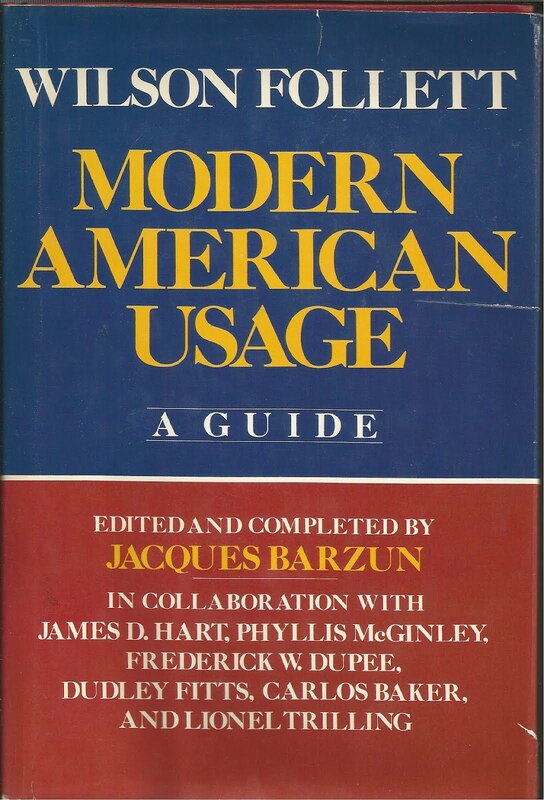 Addendum: I acquired a copy in January 2015. 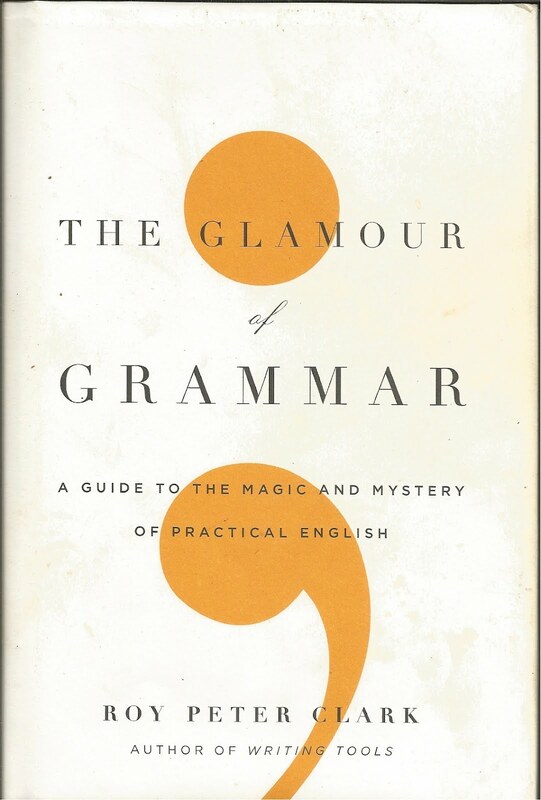 I highly recommend The Glamour of Grammar. Here is my review. 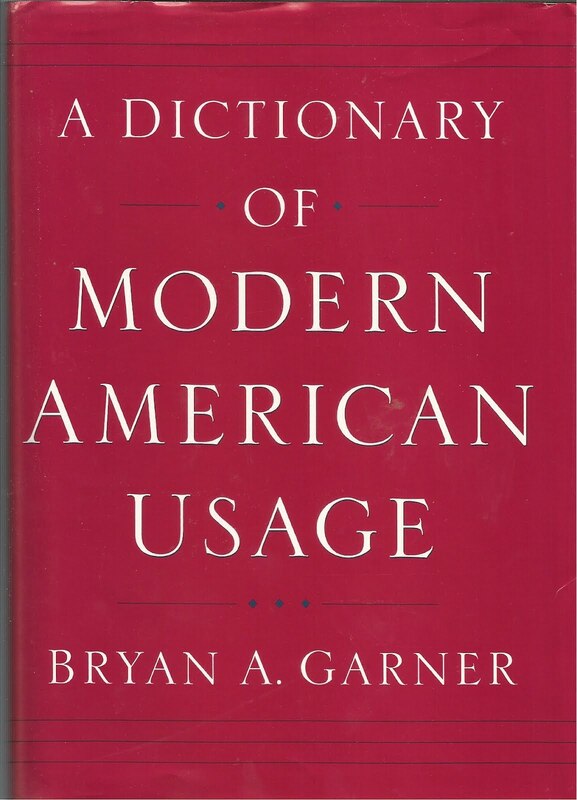 If you believe Bryan A. Garner, the author of the last book above, some of the other books listed above are nothing but trash. 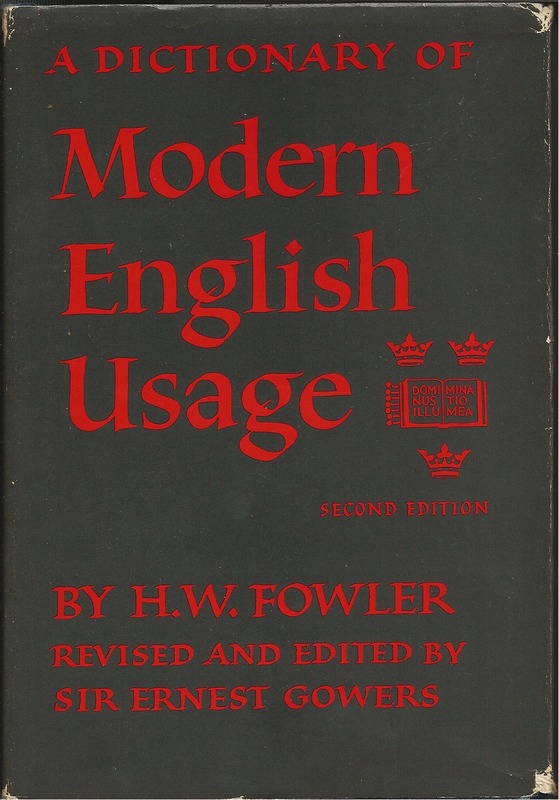 He reviewed some of them in his book, Garner on Language and Writing. 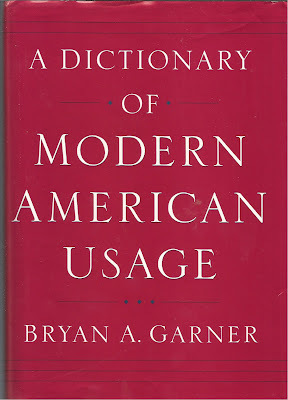 Now Garner's book struck a nerve, a fact which is reflected in my review of the book. 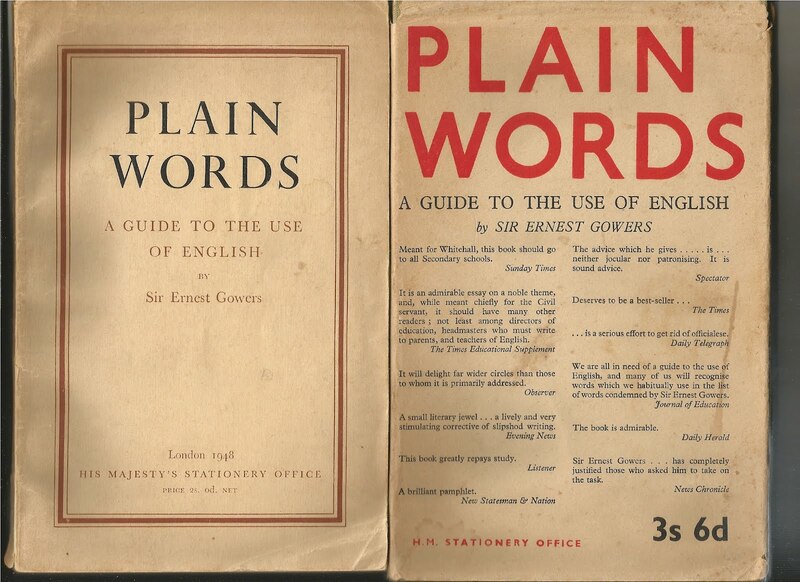 Gives in brief space the principal requirements of plain English style. 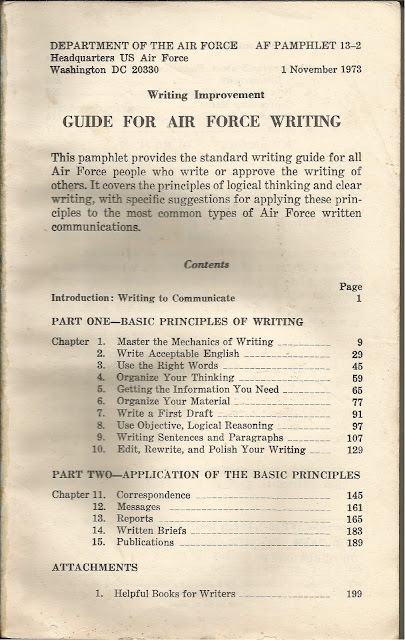 Distinguished by brevity, clarity, and prickly good sense, it is one of the best books on the fundamentals of writing –– timeless as a book can be in this age of volubility. Do you know the name of that book? 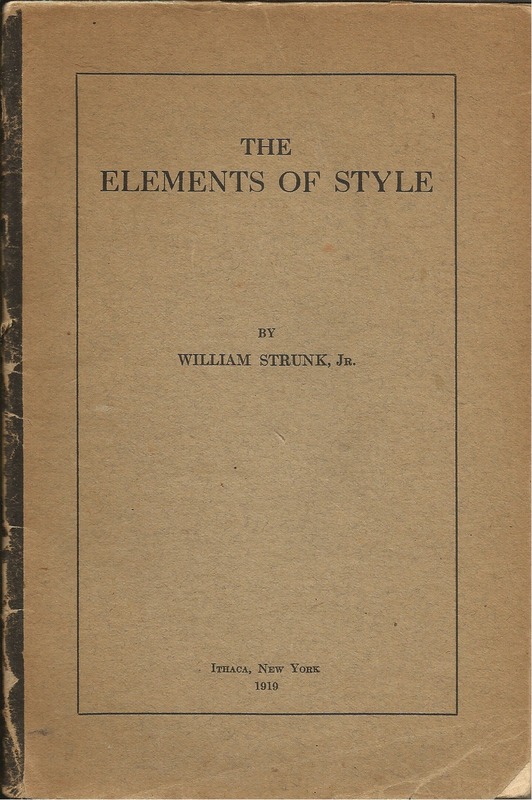 If you guessed The Elements of Style, you are correct. 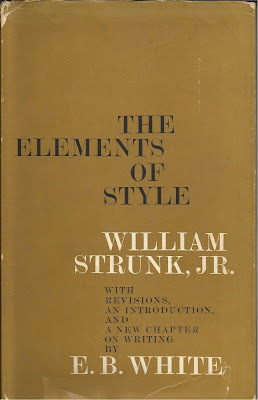 And here is my Elements of Style Collection. 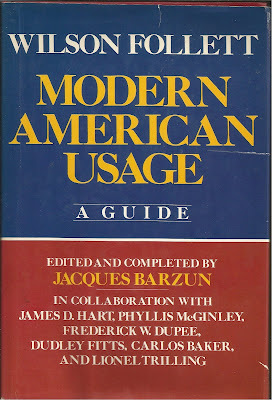 This collection rests comfortably on its own shelf in the bookcase containing my Philology Collection. The other shelves, however, are overflowing with philology books, some of which aren't really worth reading. In fact, I need to cull the collection. And soon! The title below says it all! * See About That Engraving by William Kneass . . .